This weekend I was left home alone so I went shopping... (what else is one to do when left to their own devices?!) There have been a few pieces on my 'essential' (read as desirable and non-essential) list and without a boyfriend or house mate home to tell me otherwise I just purchased them. It was oddly empowering. We're supposed to be nearing spring (almost...) but it's getting colder and colder by the day, so much so that I've worn this coat more times since the Christmas break than I did in the four months before that. I picked it up quite wishfully in September and it was very, very neglected until December. I love it so much I'd wear it to work hoping it'd be cold, only to melt on the underground and arrive in a very sunny west London hot and bothered. 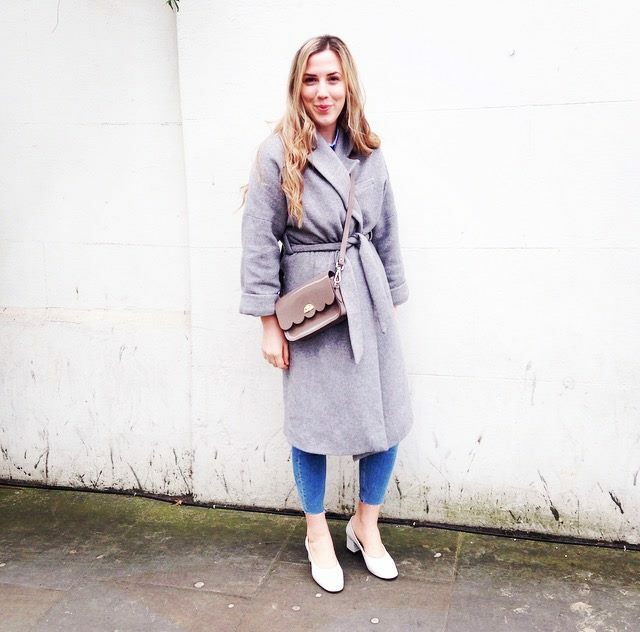 Last year I was never out of my favourite M&S camel coat and I think a grey style is a great modern alternative. Super versatile this classic long-line style wraps around you for extra warmth: on frosty mornings it almost feels like a lovely dressing gown...easing you into the commute to work. 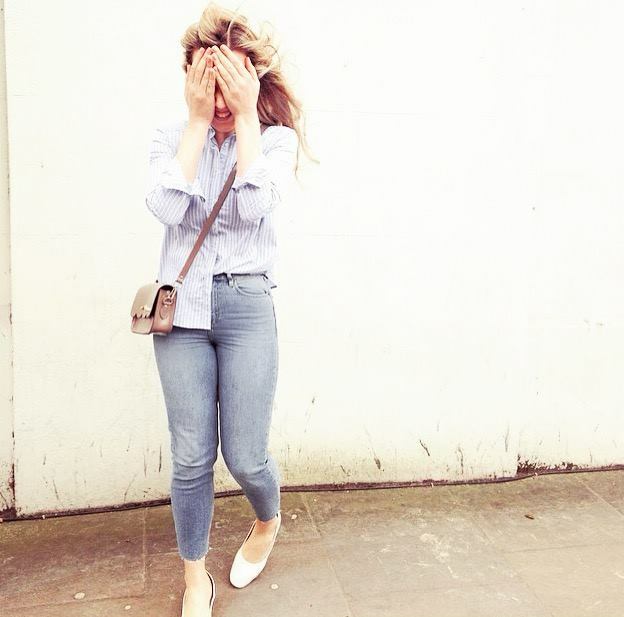 A classic white shirt will never go out of style, neither will a light-blue (striped) one. Oversized styles are always a staple in my wardrobe regardless of whether they suit me or not - there's just something very comforting about wearing clothing that's a little looser than it necessarily should be. I accidentally stumbled across these dreamy super high-waisted jeans whilst rummaging through my local Topshop's sale rail. I got a little pathetically excited about the raw hem and brought them on the spot. Which in hindsight was a great choice as they're so, so tight I'd have never tried so squeeze into them so enthusiastically if I wasn't in the comfort of my own home. They're so snug because they nip you in in all the right places, smoothing across the lower tummy area and buttoning up at your waist: they're really forgiving across all body shapes and are a great alternative to any Jamie obsessives. 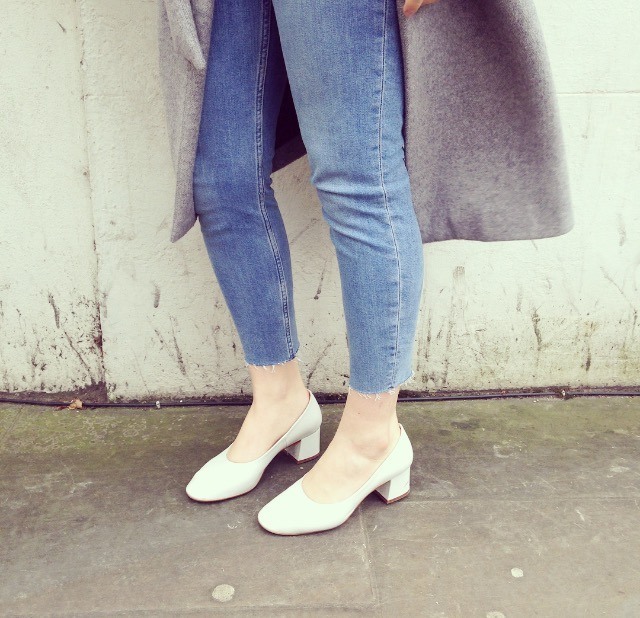 Binx's cropped ankle style is super flattering for us gals with shorter legs too! Team yours with an oversized shirt, or white vest top and loveworn leather jacket. Cross-body bag have been so popular, with everyone including my dear Mum sporting one. They're super easy to wear and are available in a multitude of sizes and shades as well as at a varying price points: you can invest in a classic Saint Laurent number or a more accessible Topshop style. Not only are they hands-free but they're also such an easy way to update any outfit - with the compact nature of the style ensuring that you limit your daily essentials and don't end up lugging around everything but the kitchen sink. I love this super cute scalloped style from The Cambridge Satchel company, sleek, structured and patent it's sure to see you through the summer. Wear yours now with a chunky knit and muted neutrals. 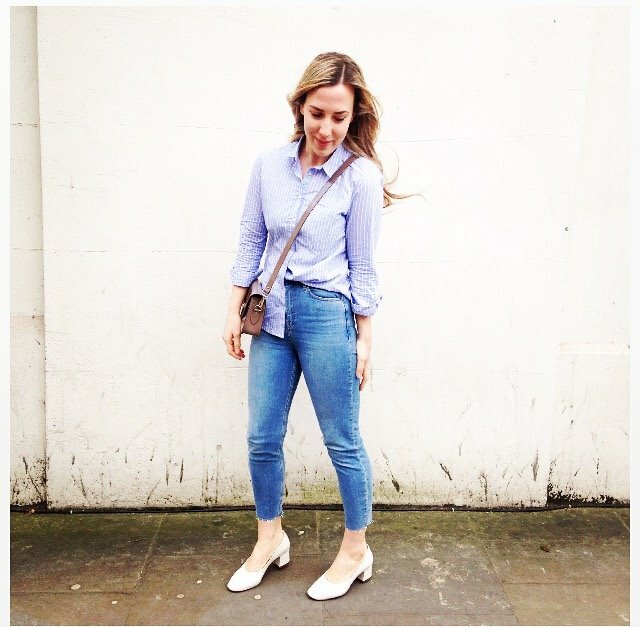 I was so totally over the plain-jane ballet pump, so when this chunky heel style became accessible on the high street (if you can afford the blush pink pair from Maryam Nassir Zadeh then you're living my dream) I was keen to get involved. Tweet me @sarahrharrison and let me know which style you've gone for.